I hope you all had a wonderful Christmas and New Year. Mine was good but I did get some bad news from my brother, He has cancer and struggled with it for the past three years. The Dr. has now given him 1-6 weeks to live. Our family prays for him daily. If you would like to join in and pray for him we would be so grateful. Thank you! I have two cards for you today with the same stamp and design. The base of the cards su blue and grey are 4 .25 x 11, scored at 5.5 and folded in half. 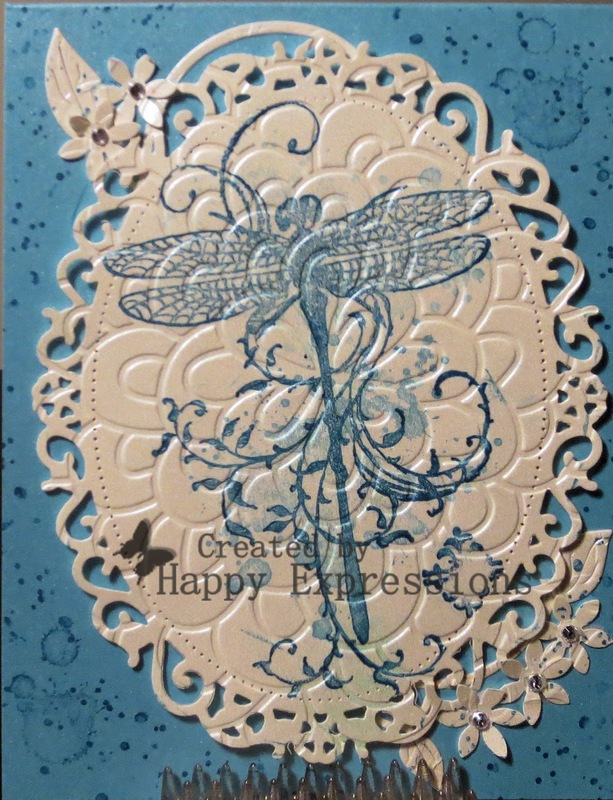 I used the su shimmer cs and used a spellbinder largest die called floral ovals. 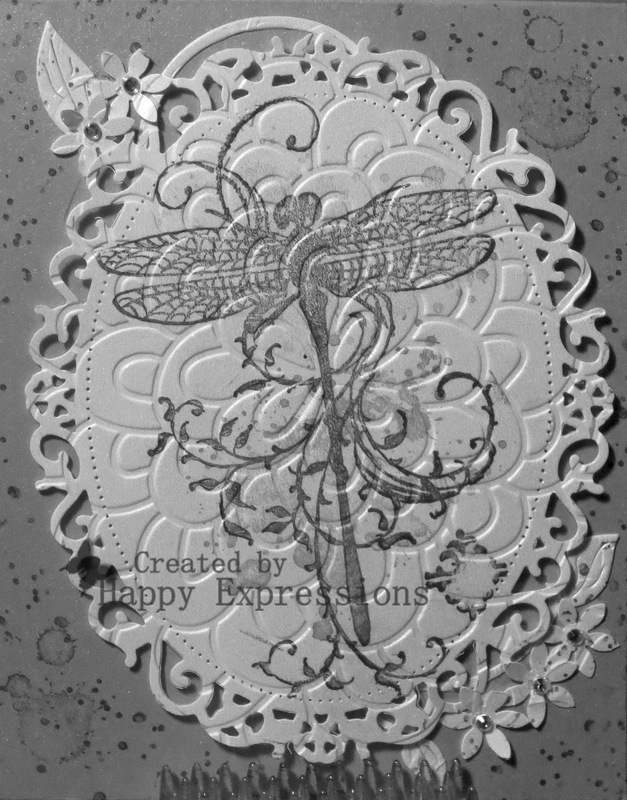 I then stamped the dragonfly a bit to the left. Ome in SU pacific point ink and one in basic grey. 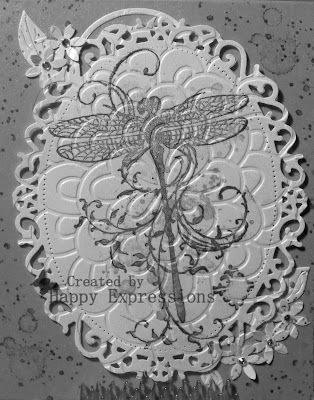 I decided it would look great if dry embossed so I used a new folder I picked up by lifestyle crafts called bloom. 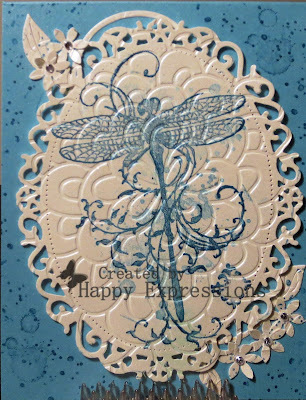 I stamped the background for the card base using gorgeous grunge in the pacific point and the dark grey for the bottom card. I used a cherry lane die for a flourish under the oval layers. Using dimensional foam dots I popped both cards ovals to the base. I cut out five very small flowers with an old punch I have had for years and added them to the top and bottoms of the cards. I then added some rhinestones to the centers. Thank you for joining me today and I hope you like my cards. Have a fabulous and crafty day!